Do you sew? One of the best companies for sewing machines is Brother, and guess who has them? Here’s a hint. It’s DealDash. Do you or your wife, mother, daughter, Grandmother, or even your husband, brother, or friend enjoy sewing? Sewing is a hobby for many people now, but 100 years ago it was a necessity. And do you know what company has been around for 100 (108, actually) years? Brother! The Brother company was started in 1908 when the Yasui Sewing Machine Co. was established in Nagoya, Japan. In 1954, Brother International Corporation (US) was established as their first overseas sales affiliate. I consider myself a fairly advanced sewist – I have been sewing since I was 15 years old, and I am 36 now. I have owned a few different brands of sewing machine, but time and again I come back to Brother when I decide to upgrade my machine. DealDash has a lovely selection of Brother brand sewing machines up for auction. DealDash even has one of my all-time favorite Brother machines – the Brother 60-Stitch Computerized Sewing Machine. I had a Brother 60-Stitch Computerized Sewing Machine for 10 years, and I gave it away to a friend while it was still in perfect working order so I could upgrade. 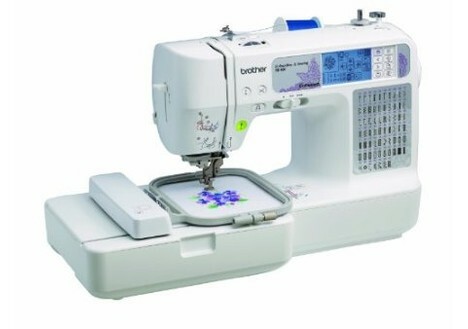 If you get the Brother 60-Stitch Computerized Sewing Machine from DealDash you will have a sewing machine that is easy to use and amazingly durable. You can check out this awesome machine at this link here. Another favorite of mine is the Brother Computerized Sewing and Embroidery Machine SE 400. I have another much higher priced embroidery machine made by Singer, but this compact SE 400 is so easy and quick to use I find myself using this one more than my higher end machine. DealDash has the Brother Computerized Sewing and Embroidery Machine SE 400 at this link here if you would like to check it out. DealDash has even more sewing and embroidery machines available for auction. You can find both regular sewing machine and embroidery machines on DealDash at this link. Thanks for reading, and I hope that I inspired you to either get out your machine and start sewing, or get a new machine from DealDash! Good luck and happy bidding everyone!